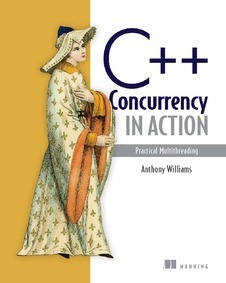 My book C++ Concurrency in Action was finally published on 29th February 2012, after 4 years of work. It's hard to believe that I can actually hold a copy in my hand; it's just been files on my computer for so long. If you haven't already got a copy, you can order one direct from Manning, or from amazon.com, or amazon.co.uk. Alternatively, copies should be available at the ACCU 2012 conference in Oxford this week. If you have purchased the book then send a copy of your receipt or other proof of purchase to info@justsoftwaresolutions.co.uk for a 50% discount on a single user license of Just::Thread, our implementation of the C++11 thread library described in the book for Microsoft Visual Studio on Windows, and g++ on Windows, Linux and MacOSX. This is one of the great blog post. I like your writing style. I appreciate your efforts. Keep posting some more interesting blog posts. How do I use the full C++ to set up basic website? Make sure using the correct syntax in order to apply for the right functions.